We at Liquid Lounge pride ourselves on adhering to strict SAMSA safety standards during the design, customization and pontoon boat manufacturing in South Africa. We regularly undergo SAMSA inspections and are therefore able to offer our clients high quality craftsmanship and the ultimate in luxury at competitive prices. 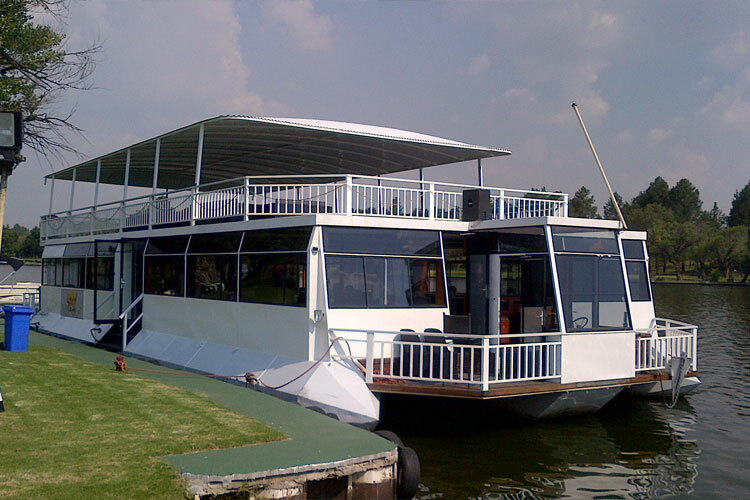 There are many reasons why we at Liquid Lounge have chosen to become pontoon boat manufacturers in South Africa. It can be plainly seen in the following characteristics of a pontoon boat and why it has therefore become one of the most popular boats for use on water. Comfort is the main priority for a pontoon boat manufacturer in South Africa. Special features like spacious living areas. Large lounges with comfortable couches. Amenities similar to a 5-star hotel. Private staff member to assist with your every need. Swivel and padded seating along the spacious decks. Our reputation of being one of the best pontoon boat manufacturers in. South Africa has been determined due to our ability to manufacture any of the many types of pontoon boats available. 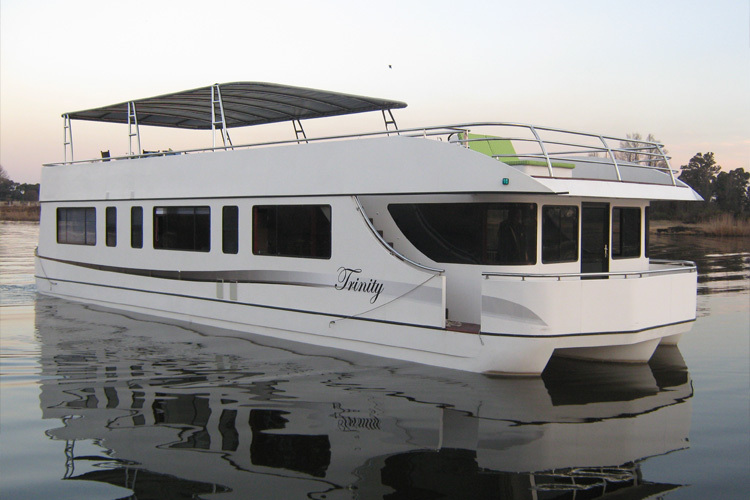 The fishing pontoon boat series – These pontoon boats include features like fibreglass aerated live wells for fish caught, an extra large petrol tank for long excursions and all the extra amenities based on all your fishing needs of which two are extra-large fitted fridges/freezers and an outside preparation area with a drainage system for intestines. 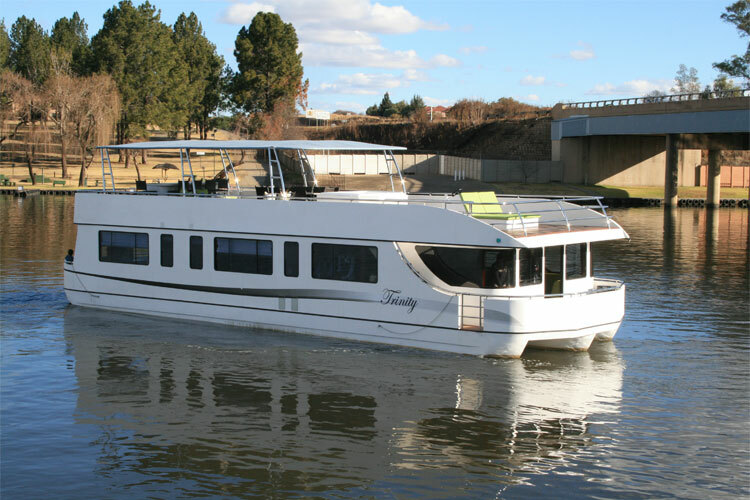 The cruise pontoon boat series – The best in the range, this pontoon boat clearly is designed with style in min. Fitted with all the amenities of a hotel, king-sized beds, comfortable seating both in the lounge and on deck and luxury bathrooms. All exterior surfaces have been extensively treated in order to provide much needed UV-resistance as well as comfort on-deck. The harbour cruise pontoon boat series – As value was is the priority during its design, this type of pontoon boat has been designed with all the needed standard equipment which will offer the buyer comfort at a more affordable rate. Although all the basics have been installed, this is the perfect pontoon boat for you to add accessories as you see fit. We possesses the necessary expertise and experience to be able to customize any of their range of manufactured pontoon boats in South Africa. Phone us today at (016) 982-3411 to discuss your specific needs regarding the design and pontoon boat manufacturing details that will suit your exact needs as well as budget.